Walk-in urgent care clinics are often the best choice for your non-emergency medical needs. For example, if you need to see a medical professional to diagnose flu-like symptoms, you could end up waiting for weeks to see your regular physician. On the other hand, if you go to the ER, you could wait all night and pay thousands of dollars, while possibly getting exposed to more serious illnesses. Now that you know you can get prompt, professional service at FastMed, you may be wondering what types of medical services you can receive at walk-in urgent care clinics. For starters, we provide many of the same basic medical services you can receive through your regular health care provider. These include general exams, gynecological exams, physicals, flu shots, vaccinations, acute and chronic illness management, help with weight loss or to quit smoking, drug testing, and basic health information. If you’re not sure if you should be heading to the ER or if a walk-in urgent care clinic is the better choice, FastMed can help. View our Urgent Care vs. ER chart to help you better understand what constitutes a medical emergency. Once you understand this, you’ll never have to waste hours and thousands of dollars on an unnecessary ER visit again. 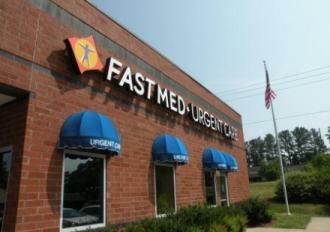 To learn more about FastMed Urgent Care and the services we provide, check out our FAQs page.